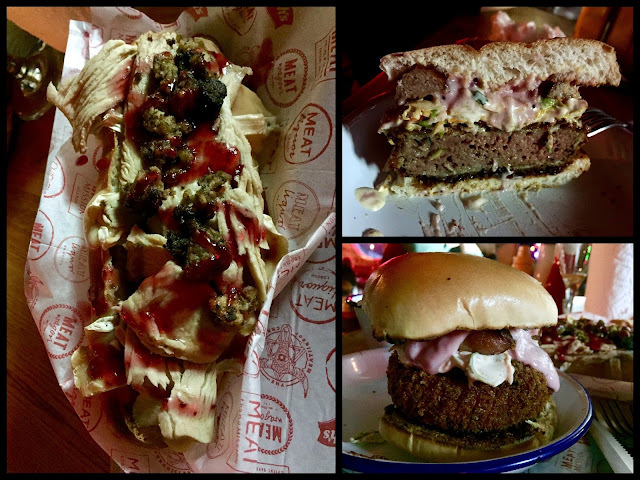 Then, of course, we have MeatLiquor, who had not one but THREE Christmas sandwiches on the menu. 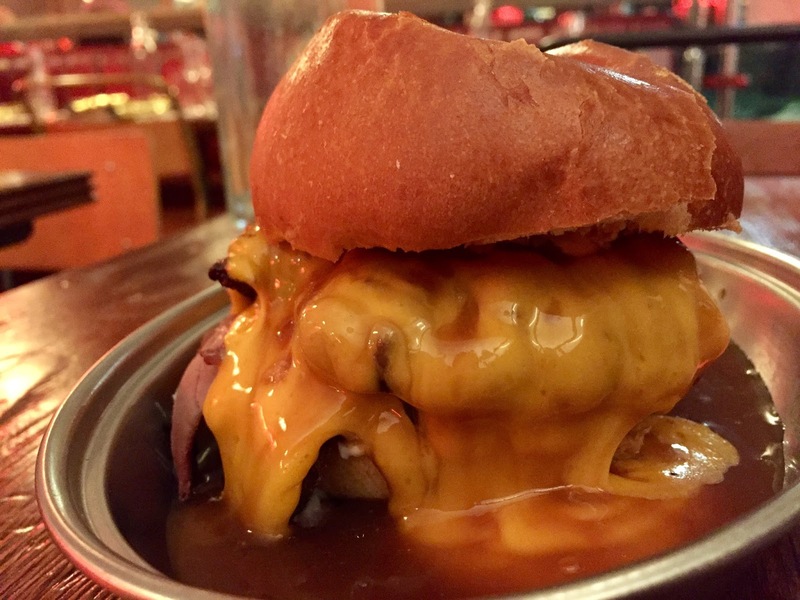 I didn't bother with the XXXmas burger after last year's debacle but happily tackled the two new ones with my buddy Mike - a hero who joined me on his lunch break to help - and the most prolific burger-lover I know in London. We shared the Turkey Cheesesteak and the Burgducken. Let's start with the cheesesteak, which was "a free-range roast turkey bathed in gravy with melted camembert, crispy stuffing crumbles and cranberry sauce": the photo I took above (left) doesn't do it justice. It was really, seriously yummy. It actually tasted - more than anything else I've had so far - like Christmas. The turkey was moist and flavourful, the cranberry sauce sweet-but-not-too, and the stuffing - well, who doesn't like stuffing. This is the sandwich you actually make out of leftovers the day after the holiday and it got to the true spirit of things. Tonight I hit my fourth Christmas burger and then take a break - lest the gout seek and find me - until my last one next week. I still have my eye on a Christmas burrito, and a Christmas brunch, but only time will tell if I'll manage them. May have to figure out how to (ugh) jog or something if I plan to keep this up. Who needs a dining room?